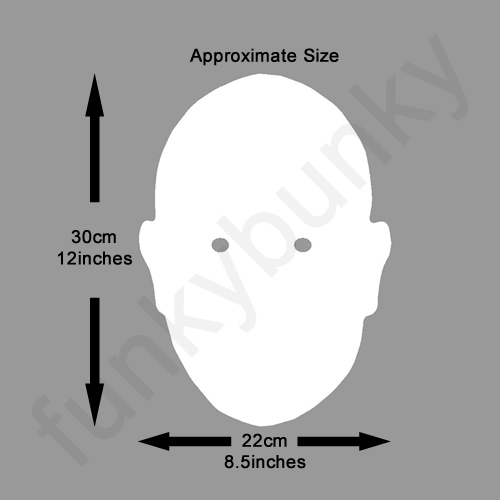 A great original idea brought to you exclusively by Funkybunky is this blank mans head mask complete with the eye hole cut out and elastic fitted on the back and is ready for you to draw on your own face, all left to your own imagination. Great fun for Children's parties. 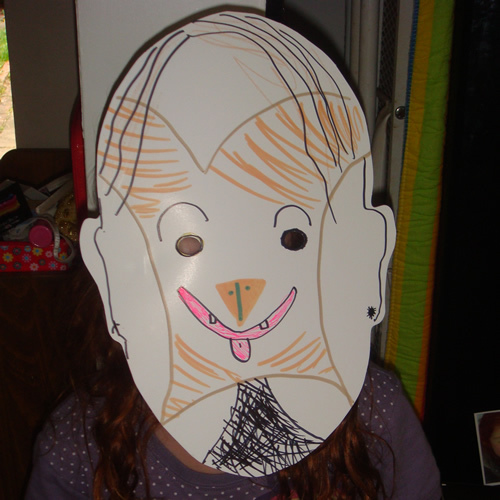 I bought these blank masks for my daughters 6th birthday, and they went down even better than expected. 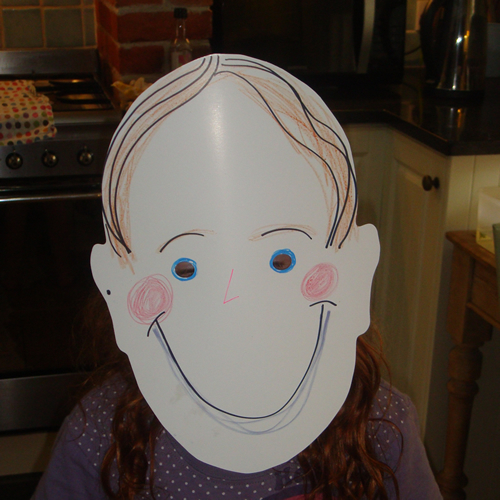 The kids loved drawing their own fun face on them and they looked abolutely fantastic. 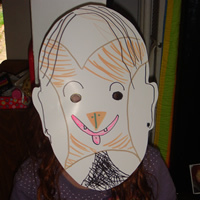 The elastic stayed on all of the masks, but we did have to tie a knot in the back as i think they are made for adult sizes but this wasn't a problem. Some kids took to school on the Monday to show the teacher too. Thanks, so brill!